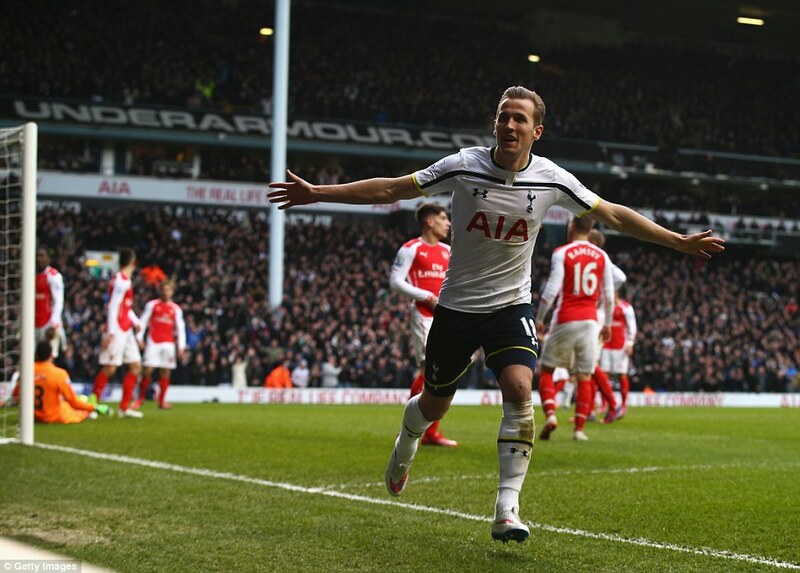 ← It’s the North London Derby and it’s Live! 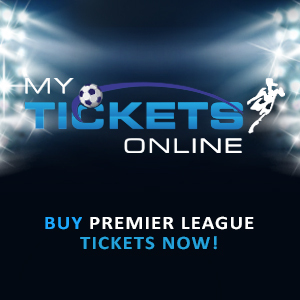 With both teams in good form, I expected a tough clash and with Spurs amassing seven points from three games against the big Guns of the Premier League at home, you knew that the Gunners would have their work cut out. Many expected Arsene Wenger to play the same side that was so efficient against Aston Villa but many were surprised to see Danny Welbeck in the starting XI bearing in mind that he just came off a lengthy injury layoff. Arsene Wenger lavished some praise on Harry Kane in the buildup to the game and he began like a house on fire when he curled a sweet effort that was punched to safety by David Ospina. With the Colombian goalie enjoying a run of four clean sheets, it was going to be one hell of a test for the lad. Arsenal got the lead when Welbeck used his reserves of pace to leave Danny Rose for dead before providing a cut back that was mishit by Olivier Giroud. 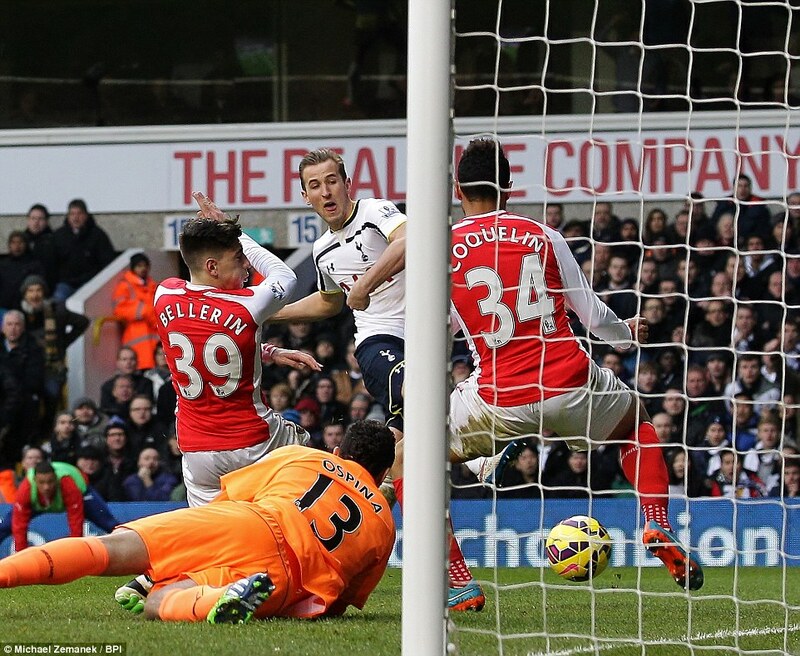 Luckily for the Frenchman, an unmarked Mesut Ozil glided the resulting ball a hapless Hugo Lloris. That was his third goal in his third start and he has quelled all those claims of him playing ‘out of position’ as most of his strikes have come from where a left winger is deployed, a position many claimed they weren’t happy seeing him play there. Wenger, you wily ol’ fox. Tottenham continued to find some joy on the right hand side with Rose firing a shot that was parried into the danger area by Ospina but Nacho Monreal was on hand to mop things up. Rose had a similar opportunity but his shot drifted wide. Arsenal’s top gun, Santi Cazorla, had a largely peripheral affair but he had a half chance that was saved by Lloris even though the replays showed that the ball was going wide. Arsenal was punished for failing to take the initiative as Spurs got their equalizer from their reliable source, Harry Kane. Erik Lamela swung in a corner that was headed goalwards but Ospina’s parry sent the ball straight to Kane that wasted no time in side-footing it home, much to the delight of the Spurs faithful. Aaron Ramsey had a shocking game which was epitomized with a plethora of sloppy passes. There was one in particular that put his team on the back foot as he fed the ball to Moussa Dembele. The Belgian waltzed past his marker and fired a shot that Ospina parried to the path of Kane but the striker’s slip spared the goalie’s blushes. 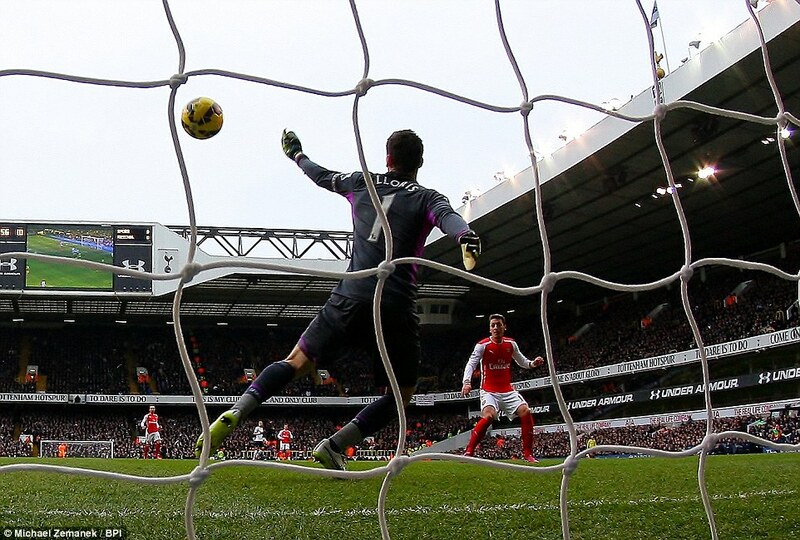 Arsenal responded back with Welbeck sending a sumptuous curling shot that was saved magnificently by Lloris. That strike had Thierry Henry written all over it and it was destined for the net but sadly, Lloris was in good form as always. Nabil Benteleb, who recently returned from his African Cup of Nations adventure with Algeria, blasted another goal-bound missile that was parried yet again to an opposition player by Ospina but the Colombian showed great reflexes to block Kane’s rebound. Maybe it’s a flaw in his game that he probably has to work on. However, Ospina was powerless when both players combined again to score what proved to be the winner. 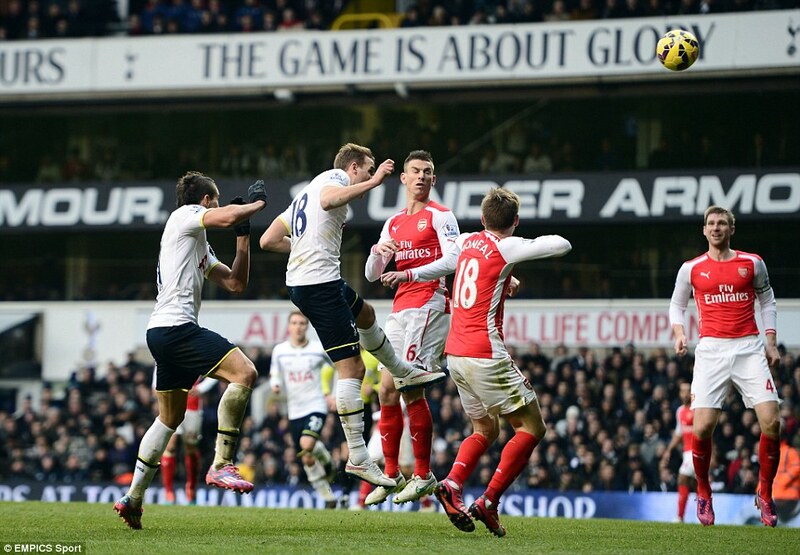 Benteleb swung a cross that was headed in by Kane after beating Koscielny in the air. As bad as the defeat is bearing in mind that Southampton won late at QPR, the home side had 23 attempts to Arsenal’s seven and dominated possession all game long. With the form Arsenal was in, I expected better from the lads but there’s no time to sulk on this defeat because there’s a game against Leicester at home coming up and if the Gunners don’t pick up maximum points there then we can start asking some questions about the team. It’s quite surprising how some fans have been quick to pick on Welbeck in the wake of the recent defeat but many forget that besides the goals Theo Walcott has scored since his return, his overall play hasn’t been up to the high standards he set in previous campaigns. Maybe Tomas Rosicky might have been a better decision but Arsene Wenger sees the players and he knows better. Winning five games on the trot was a very good feeling but if football, you win some and you lose some. Let’s just hope this doesn’t bring a ‘downward spiral’ because there are points for the taking against Leicester and the battle for third/fourth place is very intense. Posted on February 8, 2015, in Arsenal, Football, Match Report, Premier League and tagged Arsenal, Football, Premier League, Tottenham. Bookmark the permalink. 2 Comments. Now that was a sensible and fair review of the match. IMO AFC’s defence did very well on what really was a second half onslaught by THFC and it took an exceptional goal to break the deadlock. I don’t think that any blame can be placed upon your back 6 . However it was in midfield where AFC were really overrun. TBH it is only recently that I have began to rate Mason. He isn’t quite the box to box midfielder but he certainly is what Football Manager would call an MC and also seems to improver with each match. Bentaleb (dislike that beard) more or less continued where he left off before the ANC and IMO AFC underrated both of them. Removal of Welbeck took the sting out of AFC despite Walcott’s reputation and Rosicky’s track record. It was a good win for THFC but I would not lose any sleep if I was an AFC supporter as a long way to go yet.